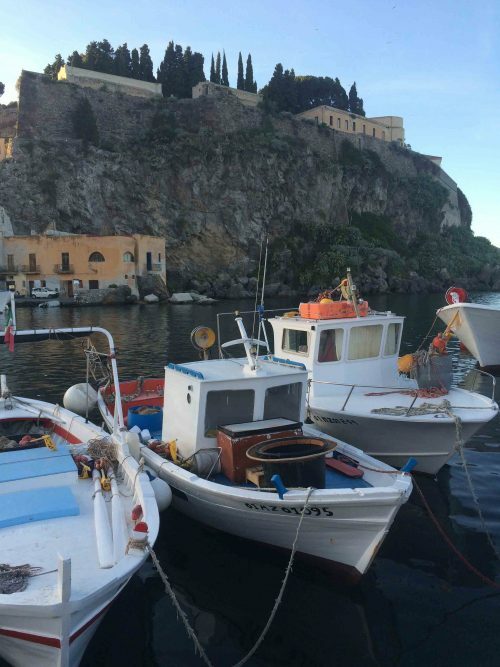 Rory Moore, BLUE’s Project Manager made a trip to Panarea in the Aeolian Islands in early August to attend an event organised by the Aeolian Islands Preservation Fund (AIPF) and BLUE. The event was attended by Italy’s Minister of Environment, Land and Sea, Gian Luca Galletti, regional mayors and local stakeholders. At the event, Mr Galletti and the mayors announced their endorsement of the establishment of a network of Marine Protected Areas (MPAs) around the Aeolian Islands. The volcanic islands (a UNECSO World Heritage Site) have been under consideration for marine protection by the Ministry since the early 1990s but attempts to secure commitment from the government have been unsuccessful until now. BLUE has been working alongside the AIPF over the last year to build the foundations and lobby for a network of MPAs that will safeguard both the marine environment and local fishing, as well as many tourism-based livelihoods. The Minister’s visit and support for the project signifies renewed political commitment to restoring and preserving the Aeolian marine environment for which BLUE is delighted as this is a positive step. The Aeolian Islands contain rare habitats that support several endangered marine species, including sperm whales, loggerhead turtles, swordfish, bluefin tuna and grouper. These marine ecosystems have been subject to chronic overfishing and habitat degradation. 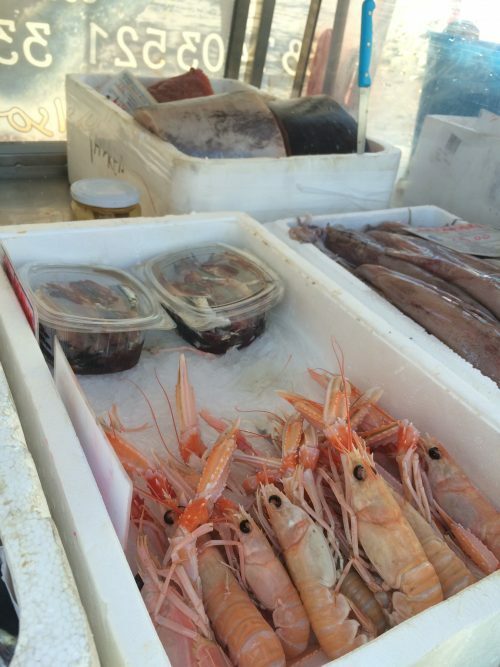 Illegal, unreported and unregulated fishing are commonplace and local fishermen have little control of their waters due to fishing pressure from larger boats from Sicily and further afield. Existing marine protected areas are not observed and laws restricting fishing gear are not properly enforced. BLUE has developed a project to address the main threats to the Aeolian marine environment. The project includes working to improve enforcement of current regulated areas, engaging with local and national politicians and protecting crucial habitats such as Posidonia (a type of sea grass). Collection of data relating to threatened species and habitats will enable appropriate zoning of protected areas and engage with the influential tourism sector. Furthermore, local fishermen will ensure stakeholder support and effective management. BLUE has developed a win-win model in Lyme Bay that benefits both the marine environment and small-scale fishermen. This model is being adapted for application in the Aeolians in order to secure buy-in from local fishermen. Marks & Spencer has sponsored BLUE’s public awareness campaign, which includes information posters and marine codes of conduct to be distributed throughout the archipelago. The ultimate aim is to to implement a coherent network of MPAs throughout the Aeolian archipelago, thus improving the marine environment and bringing long-term benefits to the local economy. The overall vision is aligned with, and backed up by the EU Marine Strategy Framework Directive, which aims to protect 10% of EU waters by 2020. 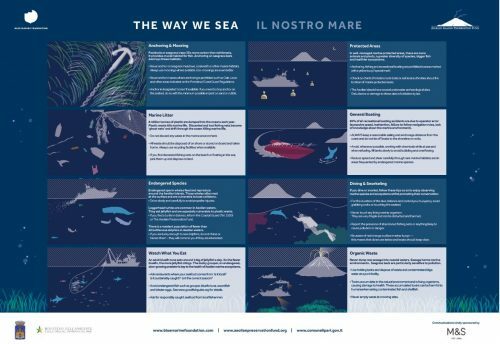 After years of deliberation and numerous failed attempts to protect the waters that surround the Aeolian Islands, this renewed campaign backed by sound science and innovative solutions seems to have tipped the balance in favour of properly managed marine protection. BLUE and the AIPF will work to consolidate the commitment expressed by Mr Galletti and the regional mayors in Panarea.